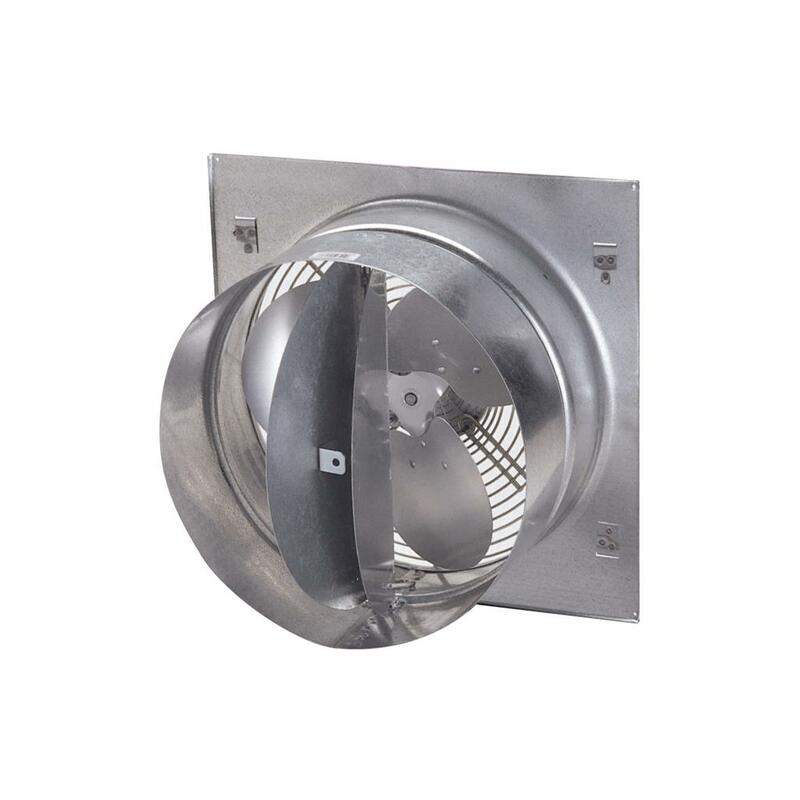 This medium volume exhaust fan will distribute fresh air and provide cooling for almost any commercial, industrial or agricultural application. 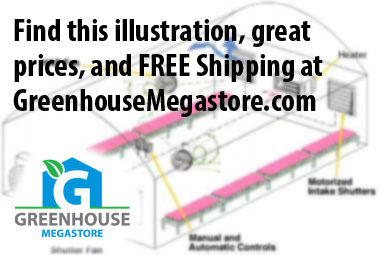 Perfect for Hog and Poultry barns or small greenhouses. 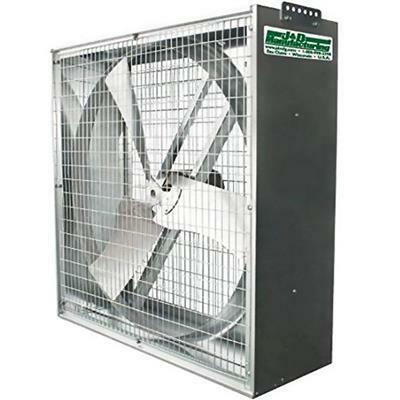 Thermally protected, totally enclosed motor comes with a two year warranty and heavy 18 gauge housing will hold up for years to come. 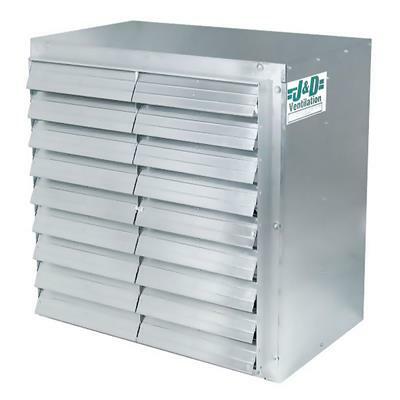 Unique butterfly style shutter opens up fully for maximum CFM output while providing easy access for cleaning. Optional weather hood available. Guard: Attractive heavy-duty combination motor mounted/safety guard with bright easy-to-clean zinc-chromate finish. Conforms to OSHA safety requirements. 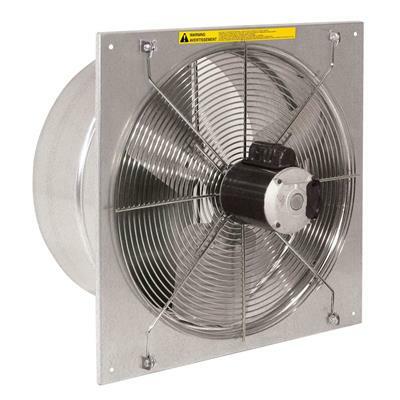 Motor: Thermally protected PSC Motor (air over) is totally enclosed and designed for a continuous duty work load. Two year warranty. Blade: The fan blade is constructed of aluminum with a zinc plated steel hub balanced for smooth vibration-free operation. Pitch is designed to correlate with motor horsepower to deliver maximum efficiency. 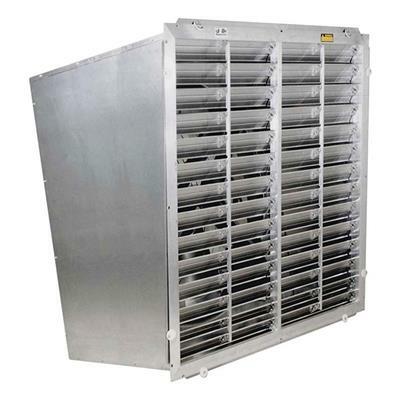 Shutter: The 18 guage galvanized steel butterfly shutter opens fully for maximum CFM output. 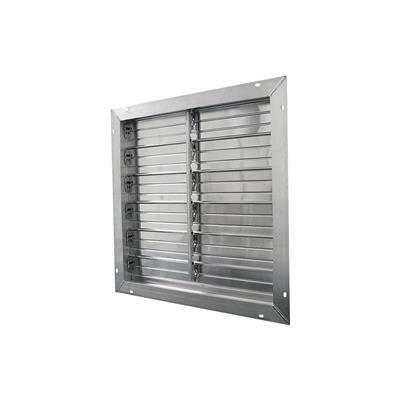 Easy accessibility for maintenance permits easy removal of dirt build up. 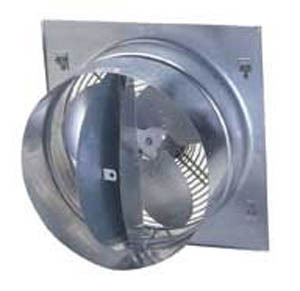 Hinged Grill: Allows easy blade cleaning and maintenance by simply removing two bolts and swinging out the fan assembly. 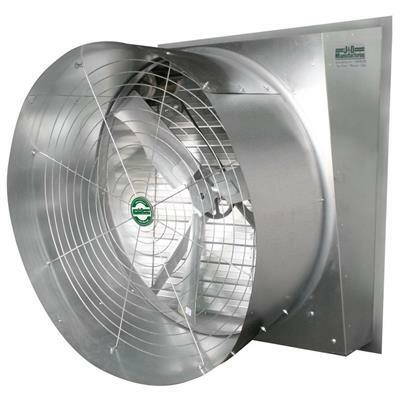 Housing: Heavy 18 guage (.047") tunnel design has a large venturi for maximum efficiency and air flow. Constructed of long-life galvanized steel. 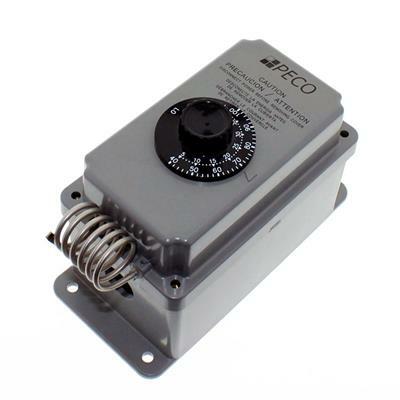 Controls: Dust and moisture resistant switch with sealed contact points. 12", 16", 20", or 24". 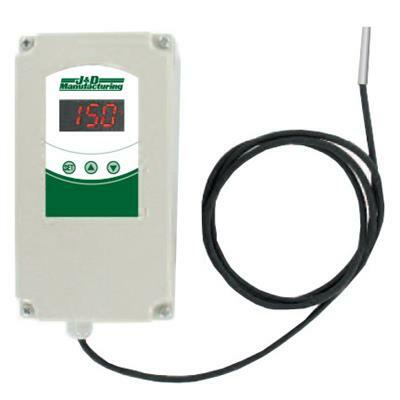 Due to size and/or weight of your order, this product may ship via Standard Ground Service or Motor Frieght Carrier. 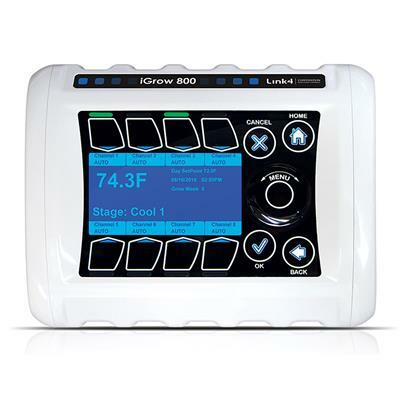 If you have questions about shipping call us at 1-888-281-9337.